Today marks the United Nation’s 25th World Press Freedom Day – celebrating the fundamental principles of press freedom and evaluating its status around the world. 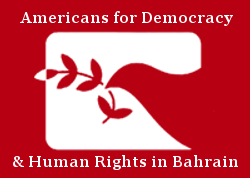 As Americans for Democracy & Human Rights in Bahrain (ADHRB) participates in the 25th United Nations Educational, Scientific and Cultural Organisation (UNESCO) commemoration of the event in Accra, Ghana – particularly welcoming UNESCO’s new Accra Declaration on “Keeping Power in Check: Media, Justice and the Rule of Law,” as well as the Joint Declaration on Media Independence and Diversity in the Digital Age launched by the Special Rapporteur on Freedom of Opinion and Expression – we remain gravely concerned by continued violations of press freedom in the countries of the Gulf Cooperation Council (GCC). These states regularly arbitrarily detain and prosecute journalists, prevent international media from renewing their licenses, deny entry to or expel foreign journalists, and fail to hold perpetrators of serious crimes against journalists accountable for their offenses. Additionally, the Gulf countries’ media landscapes are dominated by state-run or state-affiliated outlets that are tightly controlled by the government. Bahrain, Saudi Arabia, Oman, Qatar, and the Unites Arab Emirates were ranked in the bottom third of the 180 countries included in Reporters Sans Frontieres’ (RSF) 2018 World Press Freedom Index, with Bahrain and Saudi Arabia coming in at 166 and 169, respectively, while all six GCC countries are categorized as ‘very bad’ in terms of press freedom. Bahrain’s continued suppression of press freedom is partially driven by the ingrained culture of impunity for crimes against journalists. On 31 March 2012, for example, Ahmed Ismail Hassan, a photojournalist, was shot and killed while covering a protest in response to the Formula One Grand Prix. Hassan was present when security forces and armed men began violently dispersing the protest. He was fatally shot in the upper thigh with live ammunition, which severed a major artery. Though witnesses stated that Hassan was specifically targeted by the security forces because he was holding a video camera, and despite calls for investigation by the United Nations, no one has ever been held accountable for Hassan’s murder. The government has similarly failed to properly address the case of Karim Fakrahwi, a cofounder of Al-Wasat – the country’s last remaining independent newspaper, which was indefinitely suspended in 2017. Fakrahwi had been tortured to death by the National Security Agency in 2011. According to RSF, at least 15 journalists are currently detained in Bahrain: nine professional journalists and six citizen journalists. Once imprisoned, many journalists face torture, inhumane conditions, and denial of adequate medical care. In March 2014, courts sentenced award-winning photojournalist Ahmed Humaidan to 10 years in prison for documenting pro-democracy protests in Sitra, including police attacks on protesters. Security forces interrogated Humaidan without presence of a lawyer and subjected him to ill-treatment by extreme temperature exposure. Humaidan’s family said authorities had sought his arrest for months and had raided their home five times. In October 2017, Humaidan had a severe eye infection and was denied adequate medical care while imprisoned. Likewise, in March 2018, Bahraini appellate courts confirmed the 10-year prison sentence and arbitrary denaturalization of photojournalist Sayed Ahmed al-Mousawi after a trial marred by evidence of torture, as well as the imprisonment of former Al-Wasat journalist Mahmood al-Jazeeri. In Saudi Arabia, press freedom has not improved despite talk of reform by Crown Prince Mohammad bin Salman. In fact, only months after his 2017 appointment, 15 journalists and citizen journalists were detained in a wave of arrests. Among them was Al-Watan columnist, Saleh al-Shehi, who regularly reported on topics including the government’s economic policies and its treatment of expat workers. Al-Shehi was sentenced in February 2018 to five years in prison for “insulting the royal court,” and is now subject to a five-year travel ban that will go into effect after he serves his jail term. Imprisoning journalists is not new in Saudi Arabia. Currently there are at least 11 journalists and citizen-journalists imprisoned in the kingdom. They include Alaa Brinji, who was arrested in 2014 and was later sentenced to five years in prison for “insulting the rulers of the country” and “ridiculing Islamic religious figures,” based on tweets he posted in support of Saudi women’s right to drive cars, human rights defenders, and prisoners of conscience; Nadhir al-Majed, a writer who was arrested and sentenced in January 2017 to seven years on charges of failing to obey the ruler, participating in demonstrations, and writing articles supporting protests; and Raif Badawi, who is serving a ten-year prison sentence and was publically flogged in 2015 for setting up a website focused on social and political debate. The rest of the GCC states have also imposed substantial restrictions on press freedom. In Oman, independent newspapers Azamn and Al-Balad, as well as the online magazine Al-Mowaten, were forced to close in 2016. In late 2016 an appeals court ruled that Azamn should be allowed to resume operating, but authorities did not let the paper reopen in 2017. In Qatar, news continues to be censored and the leading English independent news publication, Doha News, has been blocked since 2016. The UAE, meanwhile, maintains tight control of the media environment and has targeted virtually all human rights activists for monitoring the situation and exercising their free expression, including Ahmed Mansoor. On World Press Freedom Day, ADHRB calls on the GCC states to release all those imprisoned for their work as journalists, and to repeal all laws that criminalize freedoms of expression and press. Furthermore, ADHRB calls for an end to the culture of impunity for attacks on the media by actively and transparently investigating all reports of abuse.